Naples, FL, September 20, 2012 --(PR.com)-- Southwest Florida business and real estate attorney, Jason Hamilton Mikes of Hamilton Mikes, P.A. has received the prestigious AV® Preeminent Peer Review Rating™ from LexisNexis Martindale-Hubbell®, ranking him at the highest level of professional excellence. The Martindale-Hubbell® Peer Review Ratings™ are based on evaluations by other members of the bar and the judiciary. The AV® Preeminent rating (4.5-5.0) is a significant accomplishment and attests to a lawyer's legal ability and professional ethics. The Legal Ability Rating is based on five key areas: legal knowledge, analytical capabilities, judgment, communication ability and legal experience. The General Ethical Standards Rating denotes adherence to very high levels of professional standards of conduct and ethics, reliability, diligence and other criteria relevant to practicing law. Jason founded Hamilton Mikes, P.A. in early 2011 to set a new standard and model for the legal profession in Southwest Florida: a client-focused, service-oriented law firm. He advises hundreds of community associations on day-to-day and complex legal matters and has served as counsel of record in over 1,000 mortgage and lien foreclosure cases in Lee and Collier counties. Jason has guided developers of residential, commercial and marina properties from project inception through completion and served as Florida counsel on several multi-million dollar, multi-state and multi-tiered sale and financing transactions. His clients span Marco Island, Naples, Bonita Springs, Ft. Myers, Punta Gorda, and Sarasota. Hamilton Mikes, P.A. is a new Florida law firm headquartered in Naples. Established in 2011 by veteran real estate attorney, Jason Hamilton Mikes, the firm provides personalized service and counsel in matters of business and real estate law. Its clients include a wide array of corporate entities that own or manage real estate assets such as community associations, commercial landowners and lenders, hotels/resorts, marinas and golf clubs. At the core of the firm’s success is a focus on strong client relationships – garnering trust, delivering superior client service in a timely manner, and utilizing innovative work and management practices to significantly reduce legal fees. For more information visit www.HamiltonMikes.com. 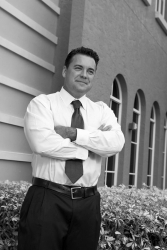 Southwest Florida business and real estate attorney, Jason Hamilton Mikes of Hamilton Mikes, P.A. has received the prestigious AV(R) Preeminent Peer Review Rating(TM) from Lexis Nexis Martindale-Hubbell(R), ranking him at the highest level of professional excellence. Click here to view the list of recent Press Releases from Hamilton Mikes, P.A.